Q: In what geographical area does Guaranteed Green provide services? A: We provide interior plant maintenance service through most of San Diego County. We provide service from the coastal areas to the east county. This extends from the South Bay, through San Diego, and as far north as Oceanside. Q: Can I purchase my own plants and containers and have Guaranteed Green take care of them? A: Yes, we will take care of the plants regardless of whether they are owned by us, or you. Q: If I enter into a lease agreement with Guaranteed Green, can I add plants later, or change them out? A: Plants can be added at any time. If you are not happy with a type of plant, we will exchange it for a similarly priced one of your choice, as long as the plant will live in the specified area. Factors affecting this are generally how much light the plant requires along with temperature. Q: What is covered by your company’s guarantee? 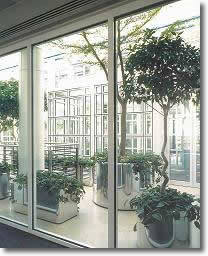 A: The guarantee covers all plants in your facility or home of which we install and maintain. Q: What is the difference between leasing and maintenance contracts? A: Where a maintenance-only contract is concerned, the customer owns the plants and containers, and we provide maintenance service. With a lease, Guaranteed Green owns the plants (and often the containers as well) and these are leased to the customer. There are two other differences – one the price, and the other is the contract duration. Q: What is the duration of a contract? A: If a lease agreement is entered into, this will generally be for one year, and sometimes two, under certain circumstances. Where maintenance only is required, the contract may be terminated at any time. 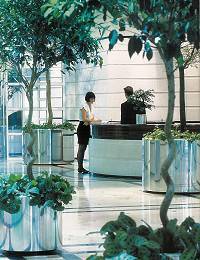 Q: How often do the plant technicians visit the locations to maintain the plants? A: In almost all cases, the technicians visit the sites once a week. Q: What types of plants are used? How big are they? A: We only use high quality, fully acclimated tropical plants. The size and quantity vary according to your needs. These range from the 6 in. tabletop plants, up to the 15 to 20 ft. plants. Q: Are there different payment options? A: We will work within your budget to fulfill your needs. Q: Is there a minimum monthly fee? A: Yes, generally this is in the region of $75 per month.